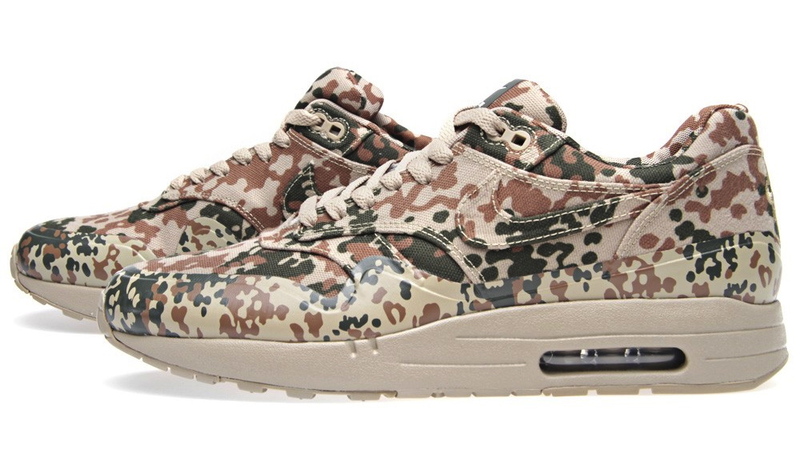 Another look at the Flecktarn camouflage-equipped Nike Air Maxim 1 SP "Germany." 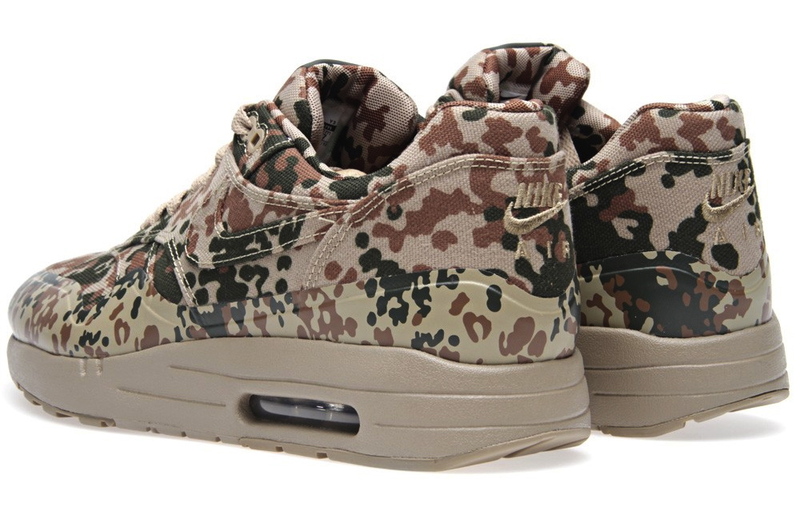 Today we take another look at the upcoming Nike Air Maxim 1 SP "Germany," a Flecktarn camo-equipped colorway releasing as part of the ongoing Nike Air Max Camo Collection. 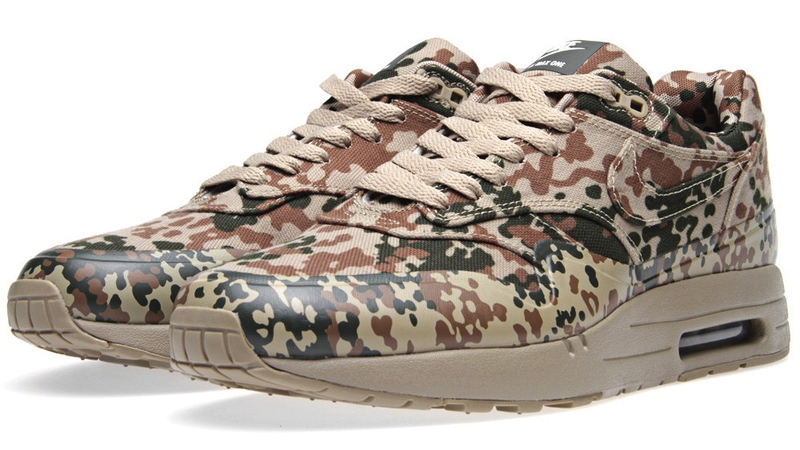 This limited edition Air Maxim 1 features an all-over Flecktarn upper, mixing together rugged canvas with a Hyperfuse mudguard. 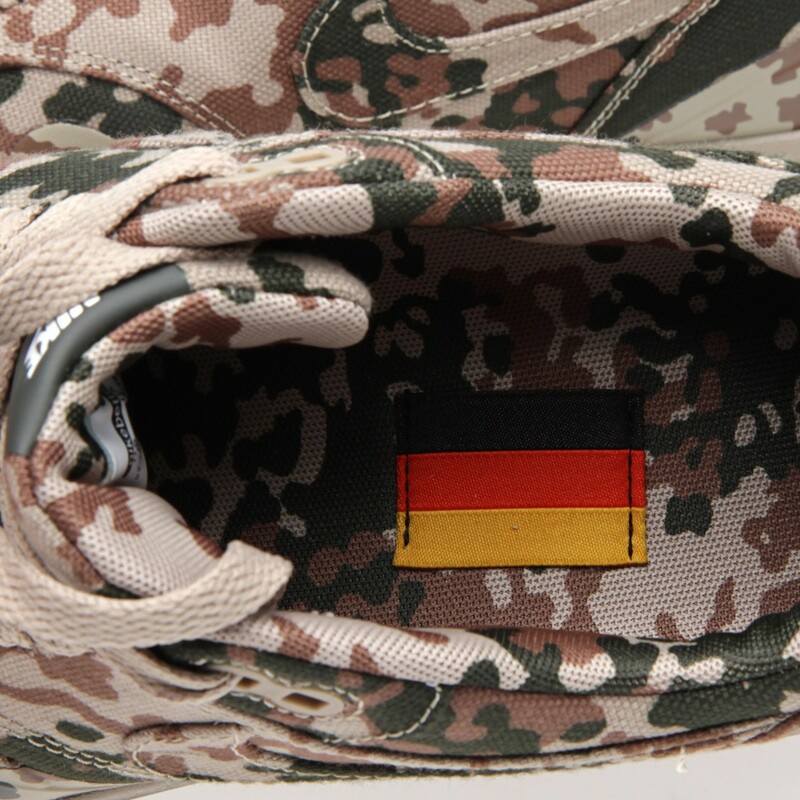 Consistent with the collection's other releases, the German flag appears on the sockliner, and each pair comes in a camouflaged shoe box. For those looking to be among the first to get their hands on this excellent colorway, End Clothing is releasing the shoe at the top of the hour (4:00 PM PST). 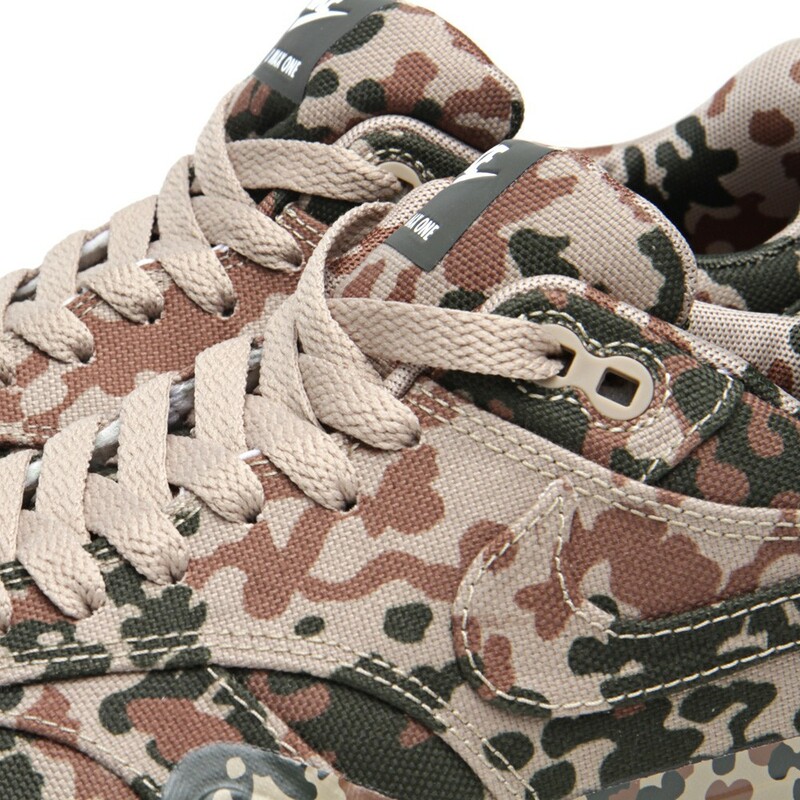 Otherwise, stay tuned to Sole Collector for stateside release information.